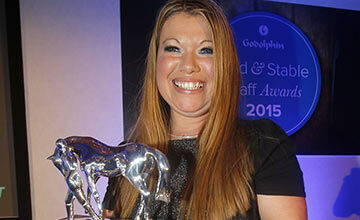 A year on from landing the top prize at the Godolphin Stud and Stable Staff Awards, Jess Fortt will play a role in deciding who succeeds her after being appointed to the judging panel. Fortt, the reigning employee of the year, is one of two new faces – the other is National Stud training director Tabbi Smith – to ensure a broader cross-section of experience. Joining Fortt, stud manager at Dunraven Stud in Wales, and Smith are former jockeys Peter Scudamore and Mark Bradburne, Professional Jockeys Association executive director Dale Gibson, racing Welfare chief executive Dawn Good fellow, BHA welfare development manager Matt Mancini and Sally Aston, owner of Goldford Stud. Also on the panel are Ian Balding,Dinah Nicholson, George McGrathand Brough Scott, chairman of the judges. The awards, sponsored by Godolphin and run by the BHA in association with the racing Post, recognise and reward the outstanding dedication and skills of the stud and stable staff who are at the heart of British racing. Scott said: “Over the last 12 years the awards have gone from strength to strength and we've seen some truly exceptional examples of the dedication and hard work that is required for work in a racing yard or stud. “ These awards are t he perfect opportunity to honour and reward the work of stud and stable staff so I urge trainers, managers and colleagues to nominate someone who deserves to be recognised at these prestigious national awards. The deadline for nominations, which can be made on racingpost.com is December 2 and the winners will be announced on February 22 at the Jumeirah Carlton Tower Hotel in London.